Childe Harold's pilgrimage, canto III. With these words Byron describes the melancholic decay of the sparkling past of Venice, but importantly ends the phrase by saying that beauty remains, still today, in this timeless city. In fact, Venice has numerous, precious artistic and architectural works that still attract thousands of people to the city every year. This is even without mentioning important events like the world-renowed Carnival, the Biennale and the famous International Film Festival. Besides Venice, you can also visit the city's surrounding areas, such as the Venice Islands: Murano, Burano, Torcello, Chioggia, the picturesque old city centres of Padua and Treviso and the city of Vicenza. 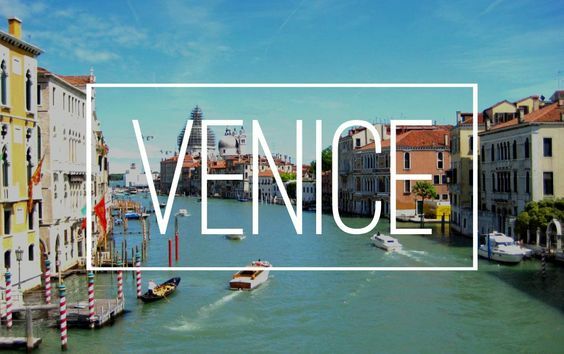 The humid climate is probably the only downside to Venice, which would otherwise be faultess. During a stay in Venice don't forget to visit St. Mark's Square and its Basilica, the Doge's Palace, the Rialto Bridge, the Ponte dei Sospiri, the Accademy galleries and the Ca' d'Oro.Have a nice journey and enjoy your stay in Venice with About Venice!